Join us for a Summer Camp this year! 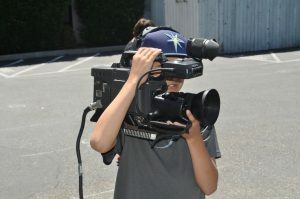 Photography, Filmmaking, and TV Studio camps run from 9:00am to 3:00pm. Sports Broadcasting camps run from 10:00am to 3:00pm. For Registration information, call (650) 494-8686, or contact Jesse Norfleet at jesse@midpenmedia.org. Use the links below to register online. For Sports Broadcasting Camps, contact Sara Bennett at sara@midpenmedia.org. Learn how to make your own movie! 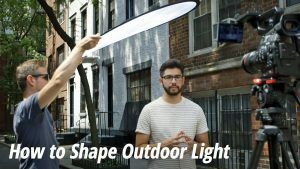 Learn how to take professional photos! This class will introduce you to the wonderful world of digital still photography. You will learn to transform ordinary photos into images you will be proud to show. 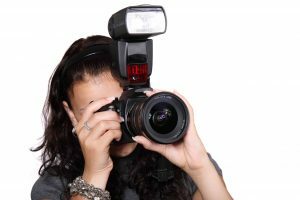 In this class, we will familiarize you with the most important features of your camera, smart phone or other device so that you can get your best photos. 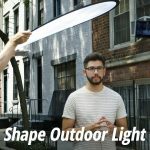 You will learn how deal with a variety of lighting situations and recognize when the lighting is right for general people photos, formal portraits, architecture, small objects, and landscapes. Students will learn compositional techniques, and will be taught how to edit photos using Adobe Lightroom®. The camp will involve two (2) off- site photo shoots during the week. At the end of the week, students will have their best photos featured in a photo exhibit at the Midpen Media Center. Students are encouraged use their own cameras (or smart phones, devices) if they wish. The Media Center will also supply still cameras for class sessions. Students learn all the skills they need to produce, direct, and star in their own TV shows in our professional studio. From concept to completed show, students design sets, run cameras, operate sound, create graphics, and star bringing their big ideas to the big screen! Previous classes have produced game shows, sit-coms, talent shows and discussions about local youth related issues. 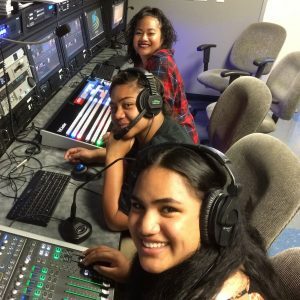 Students learn all the elements of LIVE Sports Broadcasting in a unique one-of-a-kind hands-on training experience. Using our mobile TV production truck, each student has a chance to learn every crew position, from Director and Camera Operator to Graphics Engineer, Audio Engineer and Play-by-Play Commentators. At the end of the week long session, the team films a live local sporting event, which will be shown on local TV! LOCATION & WHAT TO BRING TO CAMP: All Camps are held at the Media Center: 900 San Antonio Rd, Palo Alto. Students should pack a lunch and a long sleeve shirt or sweatshirt. Morning snacks will be provided. Sports Campers should also bring a hat, sunglasses, water bottle, & sun screen. Summer Camp Cancellation & Refund Policy: No refund will be given for cancellations less than two weeks prior to the camp session’s start date. Cancellations between 2 and 4 weeks prior to the camp session’s start date will result in a 50% refund. Cancellations made earlier than 4 weeks prior to the camp’s start date will result in an 85% refund. The Media Center reserves the right to cancel a session if enrollment is insufficient. In such an instance, fees paid will be refunded in full. The Media Center is not responsible for any lost, damaged or stolen personal belongings.